Epoisses cheese making know-how (and other washed rind soft cheeses). Based on authentic craft know-how in accordance with tradition, the maturing of this cheese with white Chablis gives it a subtle flavour. Plaisir au Chablis is milder in flavour than its cousins, such as Ami du Chambertin, which are matured with Marc de Bourgogne and have a more pronounced character. Regular and cylindrical in appearance, Plaisir au Chablis is a small cheese weighing 200 g and the color of the rind is yellow orange. Serve piping hot with creamed Jerusalem artichoke flavoured with cumin. 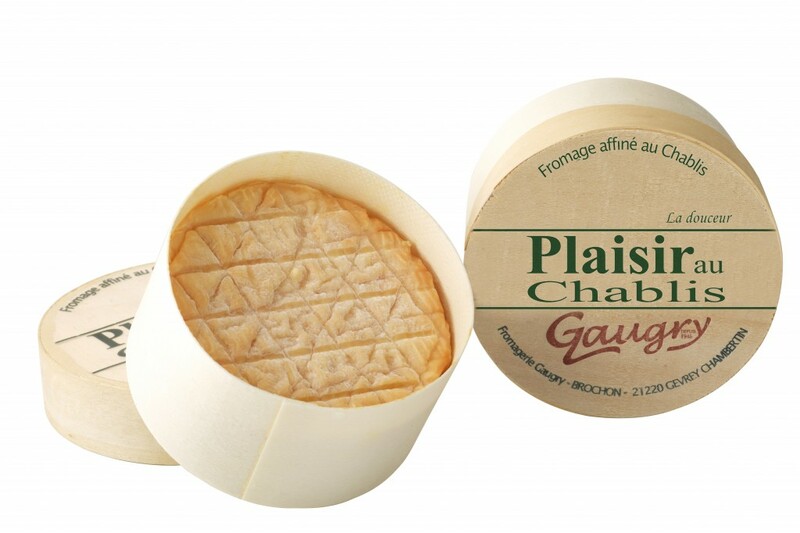 Subtle, refined and delicate “Plaisir au Chablis” is the perfect choice for lovers of Burgundy soft cheeses. Matured with Chablis wine, it goes without saying that it should be served with a Chardonnay from the Chablis region. We have also opened our production site to visitors, both for educational purposes and for maximum transparency. We also offer cheese tastings, enabling our visitors to discover our specialities, which form an integral part of the rich Burgundian heritage.